Enjoy guaranteed results when you have an experienced plumber in Fountain Valley, CA working on your plumbing needs. Our aim is to be as non-invasive as possible. Our service vehicles are equipped with all the necessary plumbing tools, plus replacement parts, so our personnel can perform the required service right there and then. Our personnel comes fully prepared with everything that may be needed for the repair or installation job, including spare parts, so no time is wasted to get things done. Be it a request for a plumbing repair job or a scheduled maintenance, our Fountain Valley plumber guarantees to be there in 60 minutes. Contact us if you do not know what to do with a plumbing leak in your home. You may end up spending more on labor and materials if you do it yourself. Call us 24/7 at (949) 371-8413. Your Water Heater Is in Need of Repair? Call Us: When your water heater is damaged, you immediately think about buying a new one but it’s recommended that you let us look at your damaged water heater first before you make a decision. If your water heater can be repaired on the spot, we won’t recommend that you buy a new one even though, in theory, we would have earned much more with the second option. Nevertheless, it is a good idea to call our experts to see if you need to buy a replacement or not. We always strive to cut the expenses without compromising quality of work. Maintaining Your Drains to Avoid Bigger Repairs: People tend to overlook the condition of the downspouts and drains. The effects of a clogged drain can be annoying and unhygienic. So many times, they call us when there’s already a backflow or if the drain is already clogged. This means we can localize the repair, and don’t have to replace all your pipes. e Know A Leak Even If You Don’t See It, and We Repair It, Too! Leaks in pipes that are hidden from view are almost impossible to detect. Water leaks are more than an annoyance; they can seriously damage your floors, walls and ceilings, not to mention your furniture or appliances. Leaks have the potential to create havoc to your property and increase your water bills by folds. If you feel that you consumed the same amount of water, there’s a leaky pipe somewhere. Emergency Plumber Fountain Valley – Call Us Now! Re-piping, Plumbing Installation and Repair of Garbage Disposal: Our technicians are adept at anything in the plumbing system. Look no further than our company, then, and receive expert advice on the best thing to do when your unit is in trouble. Whether you have a leaky pipe underneath floor boards and ceramic tiles, we have the equipment to limit the damage to the smallest area possible, which would be to your advantage since you can save on materials and labor. Do not make the mistake of attempting to repair it yourself, because without sufficient knowledge and skills, you can end up damaging your unit. To show that in every job we do, we have the full backing of the city. Worry Not About Toilet Installations and Repairs: Besides compromising comfort, it can also compromise your health, more so if the problem occurs in your home. The common sign is the odor coming from a gas leak in the sewage or clogged toilet. One of the worst things that can happen in the home, workplace, or any establishment, for that matter, is when a toilet breaks down. Call us and we will have our plumbers assess the situation, and if we find your toilet broken beyond repair, we will advise you to get a new unit. 24/7 Hotline at OC Plumbing Pros – Always Open to Serve You: We realize that plumbing emergencies can catch you off-guard, thus we make sure to be around 24/7 to render the necessary assistance. We can send a team to your house or office right away. Our customer representatives can answer all your queries and quell all your worries. We know the nature of each problem, but there are issues that are more severe than others. Our Fountain Valley Plumbers At Your Ready Service Today! 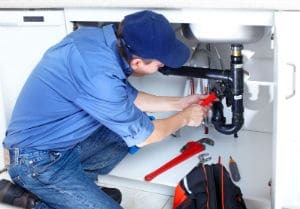 Our plumbing contractors are continuously trained to keep up with the demands of the time, and they can share with you whatever knowledge they have regarding plumbing maintenance. We never tolerate mediocrity in everything we do, and especially in the way we deal with our clients. Call our team today and see why we are the best choice near you. Contact us today so you can have a better appreciation of OC Plumbing Pros’ plumbing repair and installation services. Call us today at (949) 371-8413!